Laundry gets washed, dried and folded, but it is difficult to put away. When I took a moment to really look at the problem, I discovered that the solution was quite simple. I needed to make it easier to put the laundry away. 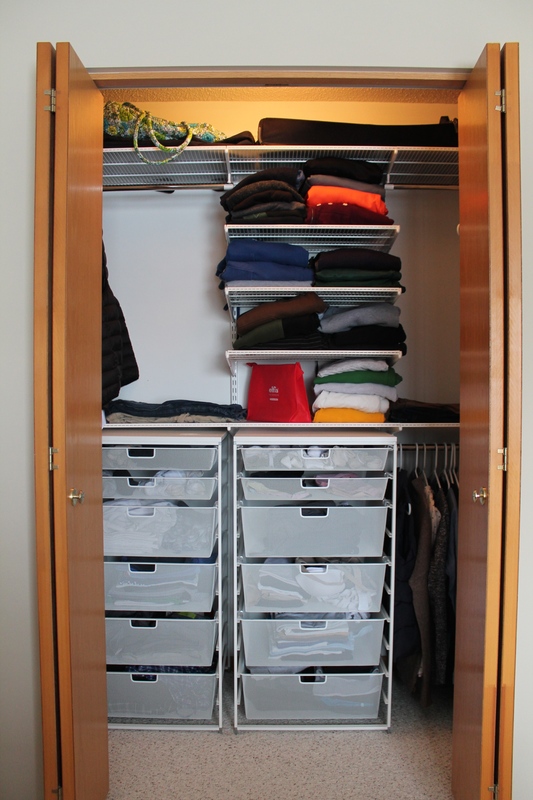 Enter my new Elfa closet organizer. This thing has truly revolutionized our laundry situation. 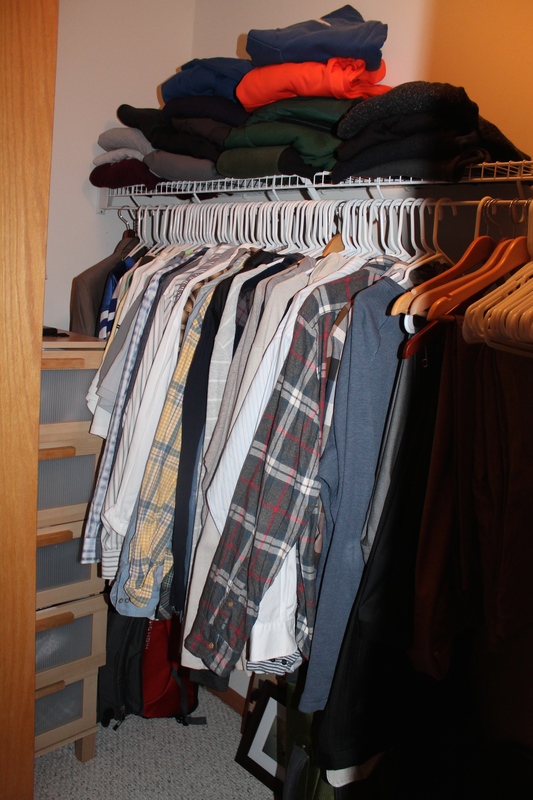 It was as “investment,” but because I don’t dread putting laundry away now, I actually do it! Before, there was no rhyme or reason to our clothing storage. It “lived” where it fit, which meant it was in the dresser, chest, nightstands AND closet. Ugh. 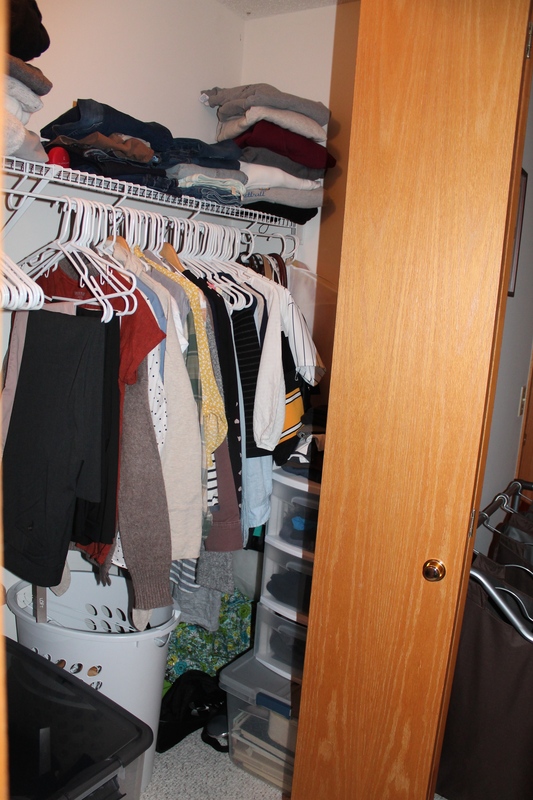 Now, (after a good purge) all of our clothing (mine and my husband’s) is in this closet and we have room to spare. Putting our laundry away is so easy now. Seriously, if you hate putting laundry away as much as I DID (yay for past tense), maybe your clothing storage just needs some tweaking :). This entry was posted in Organization, Uncategorized. Bookmark the permalink. It was so nice getting to know you as well! Yes, I can’t remember last time I had a dresser! Prob when I was a small kid or something. Here in Norway it’s quite normal with standalone wardrobes like the Ikea wardrobe/cabinets.